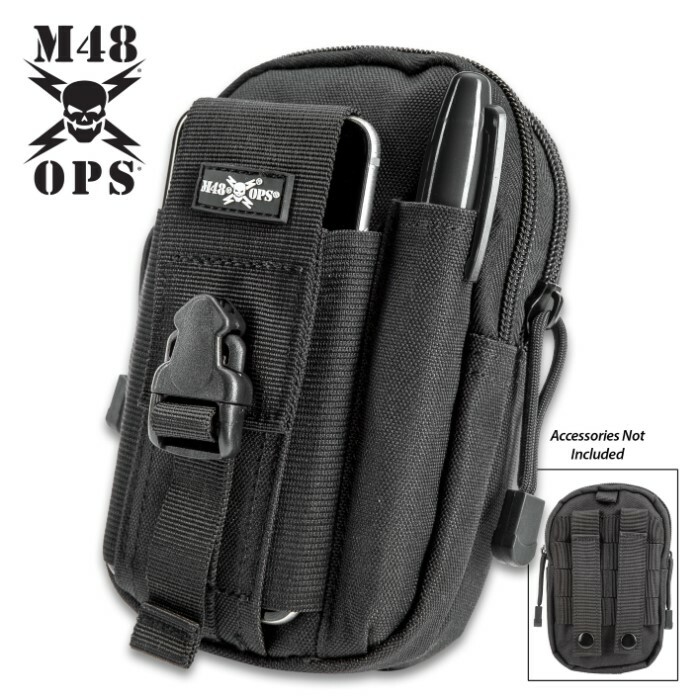 M48 Black Tactical Waist Bag With Phone Case - Heavy-Duty Nylon Construction, Multiple Pockets, Belt Straps, MOLLE - 7 1/4”x 4 3/4” | BUDK.com - Knives & Swords At The Lowest Prices! The black waist bag and phone case is approximately 7 1/4" x 4 3/4"
The M48 Black Tactical Waist Bag With Phone Case allows you to carry your mobile phone and other small tactical must-haves both securely and easily accessible. 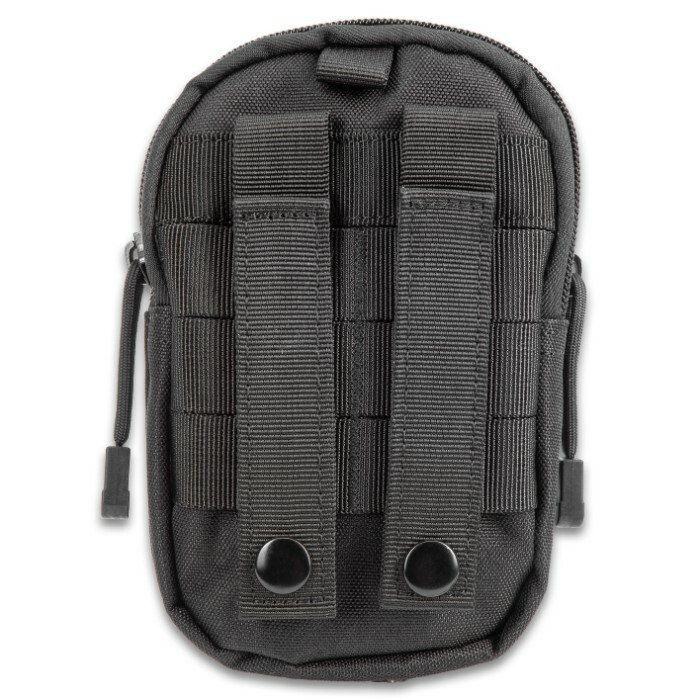 It has a military-grade 600D Oxford canvas construction with a nylon fabric interior, sturdy metal zippers and snaps, MOLLE and a TPU quick release buckle. 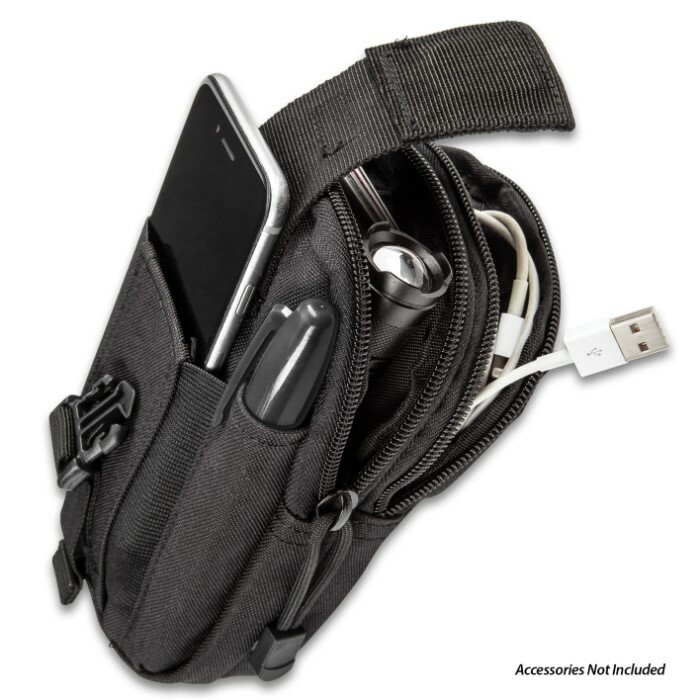 The bag has two zippered pockets, each with an interior pocket, one being mesh and one with a metal keyring carabiner clip. 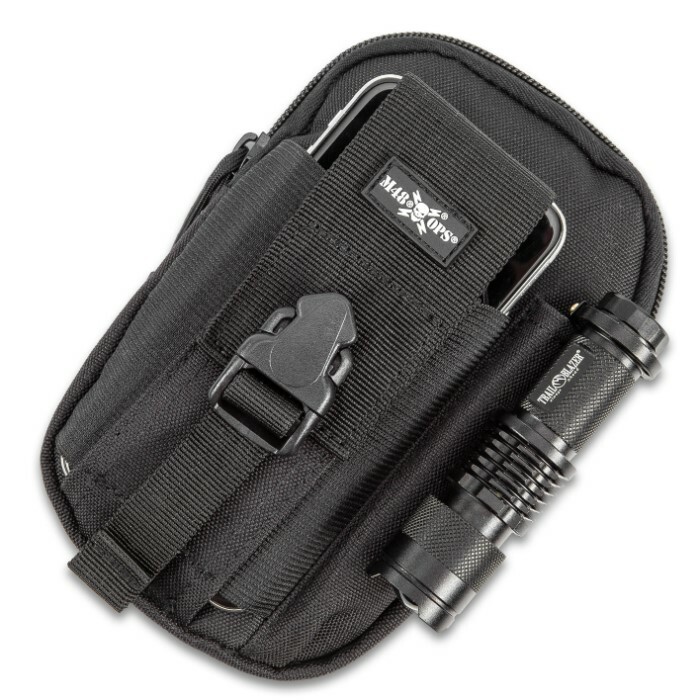 It also features MOLLE webbing on one side with snap belt straps and the phone pocket on the other side with the quick release buckle closure. 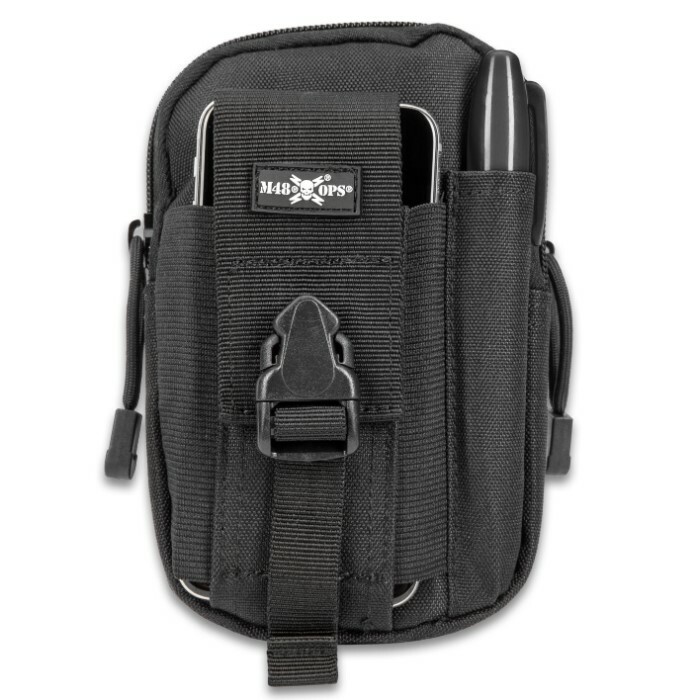 At approximately 7 1/4”x 4 3/4”, the bag is compact enough to comfortably wear at your waist.